To claim this profile, please confirm you are Noah Dean. To follow this profile, please let us know your relationship to Noah Dean. Noah's baseball stats have been updated for the loss @ Donovan Catholic. RESULTLoss Varsity baseball @ Donovan Catholic. The Pinelands Regional varsity baseball team lost Thursday's away conference game against Donovan Catholic (Toms River, NJ) in extra innings by a score of 5-4. The Pinelands Regional varsity baseball team lost Thursday's away conference game against Donovan Catholic (Toms River, NJ) by a score of 5-4. Noah's baseball stats have been updated for the loss vs. Donovan Catholic. 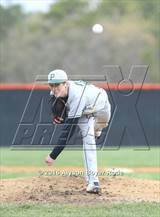 RESULTLoss Varsity baseball vs. Donovan Catholic. 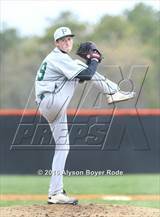 The Pinelands Regional varsity baseball team lost Tuesday's home conference game against Donovan Catholic (Toms River, NJ) by a score of 3-2. Noah's baseball stats have been updated for the loss @ Liberty. The Pinelands Regional varsity baseball team lost Thursday's away conference game against Liberty (Jackson, NJ) by a score of 11-1. Noah's baseball stats have been updated for the loss vs. Liberty. The Pinelands Regional varsity baseball team lost Wednesday's home conference game against Liberty (Jackson, NJ) by a score of 5-1. RESULTWin Varsity baseball @ Manchester Township. 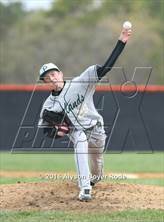 The Pinelands Regional varsity baseball team won Monday's away conference game against Manchester Township (Lakehurst, NJ) by a score of 3-1. 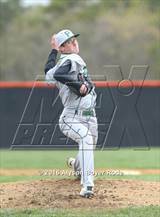 Noah's baseball stats have been updated for the win @ Point Pleasant Beach. RESULTWin Varsity baseball @ Point Pleasant Beach. The Pinelands Regional varsity baseball team won Saturday's away non-conference game against Point Pleasant Beach (NJ) by a score of 3-0. RESULTLoss Varsity baseball @ Barnegat. The Pinelands Regional varsity baseball team lost Thursday's away conference game against Barnegat (NJ) by a score of 8-1. Noah's baseball stats have been updated for the win vs. Lacey Township. RESULTWin Varsity baseball vs. Lacey Township. The Pinelands Regional varsity baseball team won Wednesday's home conference game against Lacey Township (Lanoka Harbor, NJ) by a score of 2-1. Noah's baseball stats have been updated for the win @ Lacey Township. RESULTWin Varsity baseball @ Lacey Township. The Pinelands Regional varsity baseball team won Monday's away conference game against Lacey Township (Lanoka Harbor, NJ) by a score of 4-1. 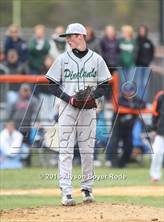 Noah has been added to the Pinelands Regional baseball roster. RESULTWin Varsity baseball @ Ranney. The Pinelands Regional varsity baseball team won Thursday's away non-conference game against Ranney (Tinton Falls, NJ) by a score of 15-2.